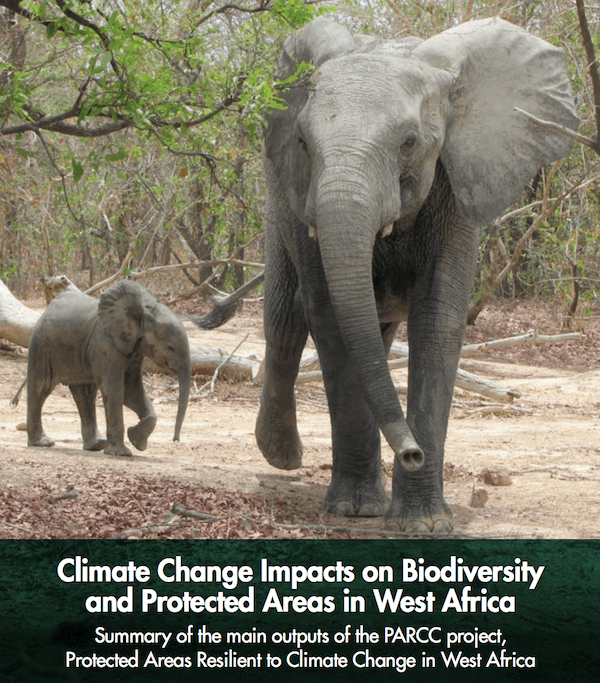 PARCC West Africa, officially known as 'Evolution of protected area systems with regard to climate change in the West Africa region' was a full-size GEF project focusing on the impacts of climate change on protected areas (PAs), which was implemented from 2010 to 2015. The United Nations Environment Programme (UNEP) was the implementing agency and UNEP World Conservation Monitoring Centre (UNEP-WCMC) was the executing agency, working in collaboration with IUCN West and Central Africa Programme (IUCN PACO). This website presents the main results of the project under three different sections: Scientific results, Regional and national activities and Recommendations and Planning. All these key outputs are also summarised in the PARCC report, which can be downloaded here. Finally, the project newsletters can also be accessed, as well as the links to all the vulnerability assessments per protected area by accessing the Protected Areas List.